NCEES FE Exam is the first route to be a professional engineer. Fundamentals of Engineering (FE) is exam can be taken just after passing graduation or even you can take the exam during your study period based on your state licensing regulations. It is nationally recognized degree. So if you once completed you need to sit for the second time. This degree does not allow you to practice after completion. You need to pass PE Exam to practice and sign documents. 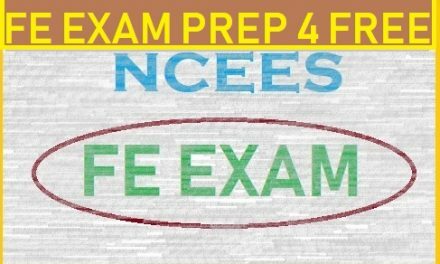 First of let me show you some basic information about NCEES FE Exam. It is a 6-hour long exam where you need to answer 110 questions. Its a Computer Based Exam. The only book you can use is NCEES FE Reference Handbook(Get Now). An 8-minute tutorial will tell you what you can do and what you can not before starting the FE Exam. 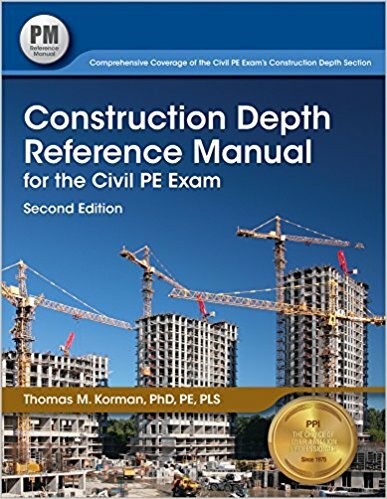 Construction Depth Reference manual for the Civil PE Exam-2nd ed.